Stretch cords accommodate any iPad housed in any case (or none). Switch easily from portrait to landscape mode using our Universal Rotator. Additional holes accommodate other size tablets such as the iPad Mini. 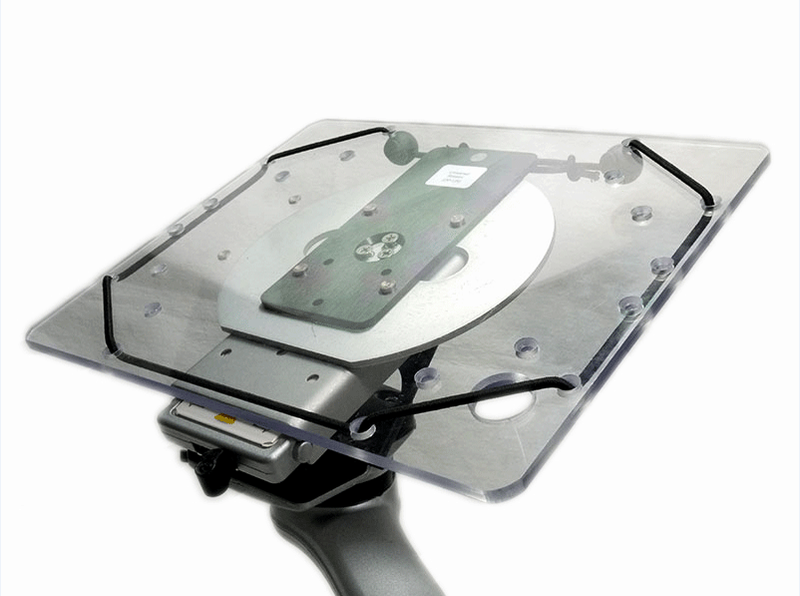 Quickly position, lock or swap the iPad Tray using our patented Mount'n Mover mounting technology. 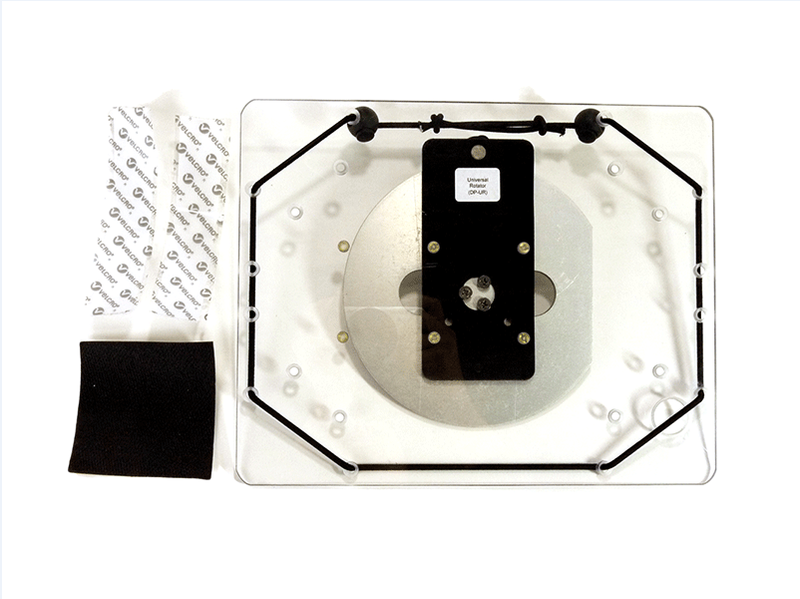 The iPad tray comes with adhesive Velcro, an adhesive grip pad and a bungee with 2 cord locks and multiple holes. We have provided everything you need to secure your iPad or tablet in the best possible way with or without a case.